EngagingPatients.org What We Learned about Patient Experience at Consumer Reports - Welcome to EngagingPatients.org! Few health researchers have the chance to survey hundreds of thousands of American consumers on health topics but we did just that as leaders of the research teams that led, designed, fielded and reported patient experience data at Consumer Reports from 2008 to 2013. From ADHD to weight loss, from back pain to laser vision surgery, from depression to diabetes, Consumer Reports surveys asked about symptoms, rated treatments, investigated side effects and identified common misperceptions. The Consumer Reports subscribers who responded to these surveys were accustomed to using quality and service ratings when making a purchase and were often savvy health decision makers. At the time these surveys fielded, Consumer Reports subscribers as a group were more highly educated, older, more likely to have options to choose from and less economically and racially diverse than the general U.S. population. This vantage point allowed us to collect data from very large samples of motivated consumers, though there were some notable occasions when we did use nationally representative samples for data collection. We know from earned media coverage and reader feedback that these Consumer Reports health surveys captured public attention. We especially love to hear that surveys like the one on medical gripes1,2 are shared among providers as transformation discussion tools. Yet, we also believe that the CAHPS family of surveys and the current population health or quality initiatives that often incorporate CAHPS (HEDIS, Leapfrog, Hospital Compare, etc.) have not advanced patient engagement with data as quickly or completely as m any hoped. If we are to advance health system transformation, we need public, accessible, actionable data on health care quality and treatment outcomes. Quality ratings need to be data-driven, different for each condition and able to distinguish the diverse and viable options consumers face. Why do we need to get better at describing treatment options and outcomes? Because consumers can and do change the market and sometimes not in the ways many doctors think best. When it comes to treating bothersome health problems such as as allergies2 and depression3, patients actively choose and combine treatments and providers to find what works best. They may delay surgery, opt out of preventive treatments like a colonoscopy or stop taking prescription medications as directed. Consumers explore alternative treatments (though they don’t always tell their medical providers) and replace doctors that make them uncomfortable or unhappy4. The surveys conducted during our time at Consumer Reports didn’t always find primary care providers as helpful as specialists for treating specific health problems such as diabetes or back pain. If we don’t intentionally and authentically support patient experience and decision-making with convincing data and tools before health decisions are made, the choices patients make may jeopardize health system goals and undermine partnership with providers. Why do we need to create ratings that address specific conditions and treatments? Because each treatment or condition is accompanied by a unique constellation of symptoms, treatments and outcomes (see for example Curtis et al 2002). Data drives what to highlight for consumers. For example, the Consumer Reports 2010 ratings of heart surgeons published with the Society of Thoracic Surgeons found that survival rates were so high as to be nearly indistinguishable but variation did exist when it came to prescribing recommended medications or preventing certain complications. That type of comparison would help a consumer take their own actions (for example, seeking confirmation of post-op medication from a second provider) while prioritizing other factors they care about such as location of practice or word-of-mouth recommendations from friends. There is no formula that works across conditions and treatments. That’s why we took different approaches to rating weight control programs, hearing aids and laser vision surgery2. Why do we need to focus on what treatments and services best meet individual expectations and needs? Because consumers will not value quality data until they can apply it to themselves personally– and that means recognizing that individual expectations and trajectories differ. 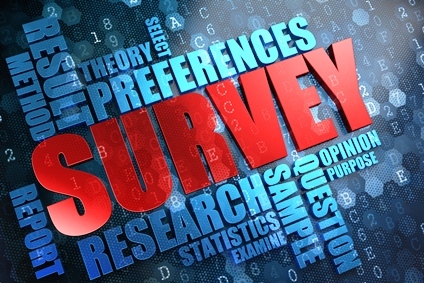 One way that survey ratings differ from clinical trials is that they capture real-life experiences from patients and include individuals with complex health histories, multiple diagnoses or little inclination to comply with the requirements of a clinical study (be they restricted treatment options or a high chance of receiving a placebo). Large sample sizes (20,000 plus participants) allow surveys to cut the data and provide tailored recommendations by age, severity or dual diagnosis and can thus be used by consumers to complement and tailor the effectiveness findings of randomized controlled trials. There often is significant variation in individual outcomes. For example, the amount of weight lost by Consumer Reports survey respondents varied so much that the comparative benchmark reported and illustrated in the magazine story 5 was a range not an average. Other areas in which individual variation is underemphasized are provider quality and treatment environment. The Consumer Reports surveys that assessed doctor-patient relationships repeatedly found that while having a doctor who delivers consistent, high quality, timely care was important, so was finding a doctor whose temperament and personality worked well for you.4 A final example reported from a nationally representative survey on ADHD2 found that while having a child take medication was the treatment strategy most often indicated as helping “a lot” (67%), changing to a school more suited to students with ADHD also was rated as helping “a lot” by 45% of parents. Such findings help consumers accept that no one approach to treating ADHD is likely to be “slam dunk” helpful and encourages them to include out-of-the-box non-medical solutions among their treatment choices. We need to move beyond whether or not a quality standard is met and instead mine large data sets for recommendations that help individuals decide. Health payers, systems and providers have the analytics capabilities to advance patient-centered care and customer service with data that matters to their customers. Platforms and communities for patients to convene now exist. Patient leaders are being cultivated by health systems to guide strategy and support population health outreach. If we are to advance transformation to patient-centered health care, we need public, accessible, understandable, actionable data on health care quality and treatment outcomes. Providers, consumers, healthcare systems and policy makers can build in real-time feedback loops that move the field in the right direction. 1. What, if any, regrets do you or any family members have about treatments you’ve received in the past? If you could approach the situation again, what would you do differently? How can we move forward confident that you are receiving the best care possible even if it doesn’t quite work out as we plan and hope? 2. Thinking back to your treatment here for (specific condition), what did your providers say or do to put you at ease and make you or anyone with you feel comfortable? Was anything said or done that felt uncomfortable? What was that? Why was it uncomfortable? 3. During the entire time you’ve received treatment here for (specific condition), from your first visit on (date) to your last visit on (date) were there any specific visits or time points that stick out as especially memorable or important? Tell me about those visits or times and why they mattered. These are the kinds of questions that report quality from the patient perspective and generate the advice and recommendations we all need to make health treatment decisions consistent with our values and preferences. Editor’s Note: The Consumer Reports stories referenced here were produced by large teams (8 or more) of reporters, editors, health experts and clinicians, statisticians, social scientists, graphic arts, communications staff, etc. who all contributed to final content. The views expressed in this article are the views of the authors who are no longer employed by Consumer Reports. All links were accessed on August 26, 2016. These surveys (medical gripes, allergies, ADHD and laser vision surgery) polled a randomly selected, nationally representative sample. Depression and Anxiety: Readers Reveal the Therapists and Drugs That Work,” (2010, July). Consumer Reports Magazine, 75(7):28-31. 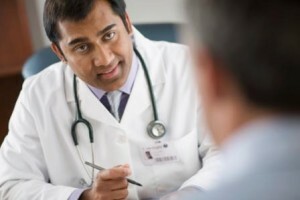 “What Doctors Wish Their Patients Knew” (2011, March). Consumer Reports Magazine,76(3):20-23. “Lose Weight Your Way: 9,000 Readers Rate 13 Diet Plans and Tools,” (2013, February). Consumer Reports Magazine,78(2):26-29. Elissa Schuler Adair, PhD, Senior Scholar, Center for Ethics in Health, Oregon Health & Science University. A consumer health advocate, data scientist and trained ethnographer, she is an independent consultant to non-profit, media, government and entrepreneurial initiatives based in Portland, Oregon. Mark Kotkin, PhD, served on the Consumer Reports Survey Research team for 27 years, retiring as its Director.